You may have seen pictures on my Instagram that I was lucky enough to receive my first Influenster VoxBox! This VoxBox had complimentary Rimmel London products in for me to try out. I love Rimmel products, I have been using Rimmel products right from when I started wearing makeup. 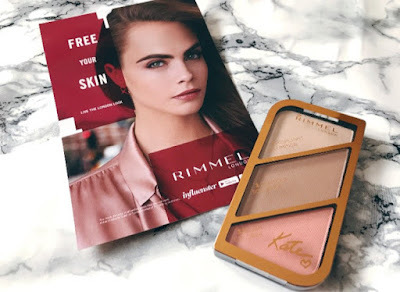 I love Rimmel as a brand as it's so affordable and you can pick their products up really easily. Rimmel have a stand in my local supermarket, so it is super handy if I have run out of one of my favourite products and all the shops are shut in town. A big thumbs up for availability and pricing! I'll stop rambling and get to the products. First off is the new Lasting Finish Breathable Foundation. I have tried a Rimmel foundation before and it didn't fit my skin tone, so when I received this I was a little worried it wouldn't match up. However, Rimmel have done so well with this! 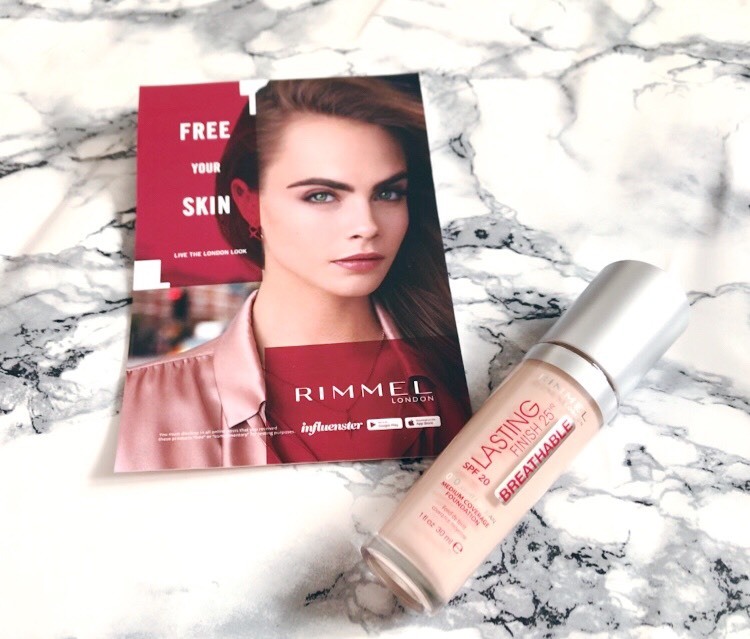 I was so happy that a Rimmel foundation fits my skin tone! I received the shade '010 Light Porcelain', which is the second lightest shade. I would like to try the lightest shade to see which one works best for me. 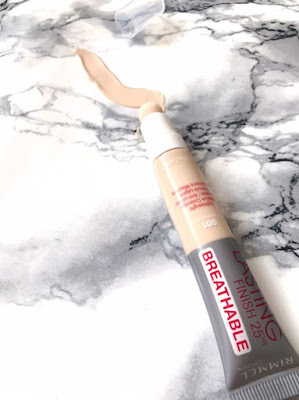 The Lasting Finish Breathable Foundation offers a buildable light to medium coverage. I was able to achieve both a light coverage and a medium coverage, so I am happy it lives up to what it says. The foundation claims to be moisturising for up to 25 hours. It also has SPF 20 in, even at this time of the year we still need to protect our skin. The foundation comes with a doe foot applicator, which I have never seen with a foundation before. Obviously it isn't tiny like you get with a lip gloss or with some concealers, it is considerably bigger. This may not be to everyone's liking but I actually quite like that it is something different. I like the fact that it is flexible and rotates, making it easier to get into all the nooks and crannies of your face. I also found the foundation easy to blend. As a nice perk, unlike some foundations I have tried, this one has quite a pleasant smell to it. I love how lightweight the foundation is and yet you are still getting a decent amount of coverage. The 'Breathable skin technology' definitely works for me. You can find this shade and lots of others at superdrug.com for £8.99. Next up the Lasting Finish Breathable concealer. I received the shade '001 Light Ivory', this is the lightest shade in this particular concealer. This concealer comes with a little cushion applicator at the end. Again, this is something I haven't personally seen on the end of a concealer, so I was keen to try this out to. I love how well matched the foundation and concealer are. The concealer works well with the foundation to conceal imperfections. The concealer gives a medium coverage, whilst again not feeling heavy at all. I was a little unsure of the sponge to start with, but after a couple of uses it is something I got the hang of. 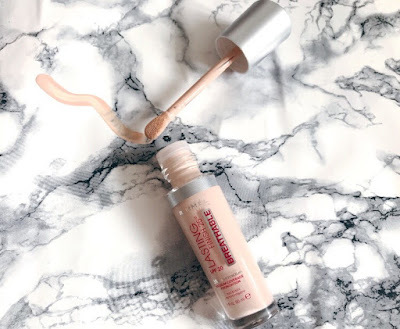 I love the fact I have found a foundation and concealer that are so lightweight it doesn't actually feel like I am wearing any, but I still have that bit of coverage I need to give me that bit of confidence. 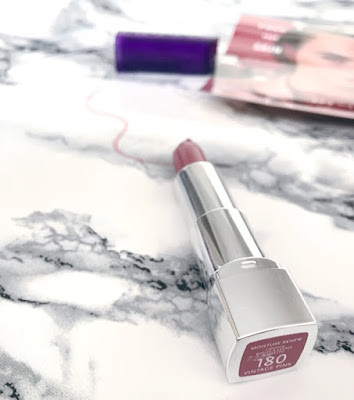 You can find the shade I received and others at superdrug.com for £6.49. The Kate Sculpting palette in 'Coral Bliss'. I love how this is everything you need to help define your face. I loved trying this out as it is not something I would have necessarily have picked up for myself. I am so glad I have been able to try this. It is super handy that you can take it out in your bag for any on the go touch ups you wish to make. 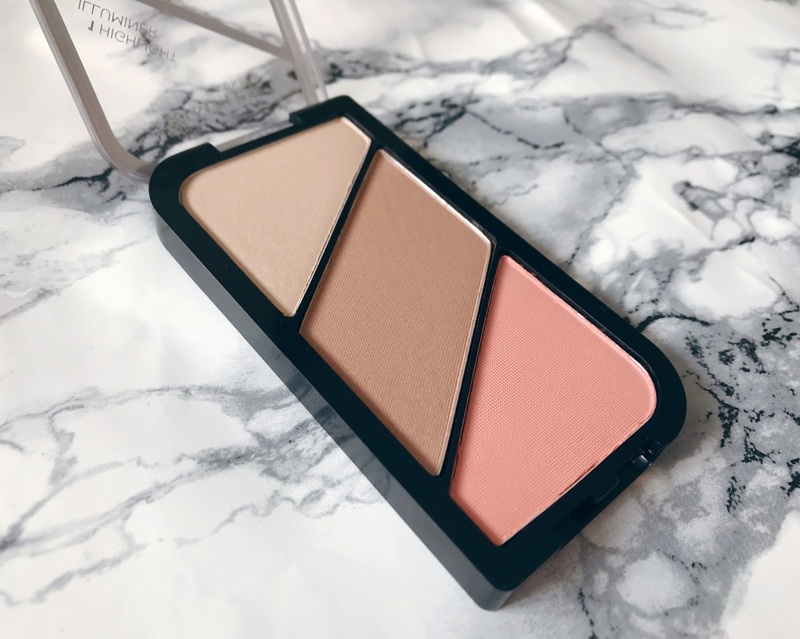 I also love the fact it has a helpful guide on the back, so if your new to contouring and defining your face, you'll know exactly what to do. This also comes in another shade called 'Golden Bronze'. You can find 'Coral Glow' at boots.com for £6.99. Last but not least is the Rimmel London Moisturing Lipstick in shade Vintage Pink. I love this shade! It's perfect for autumn and it is super moisturising. 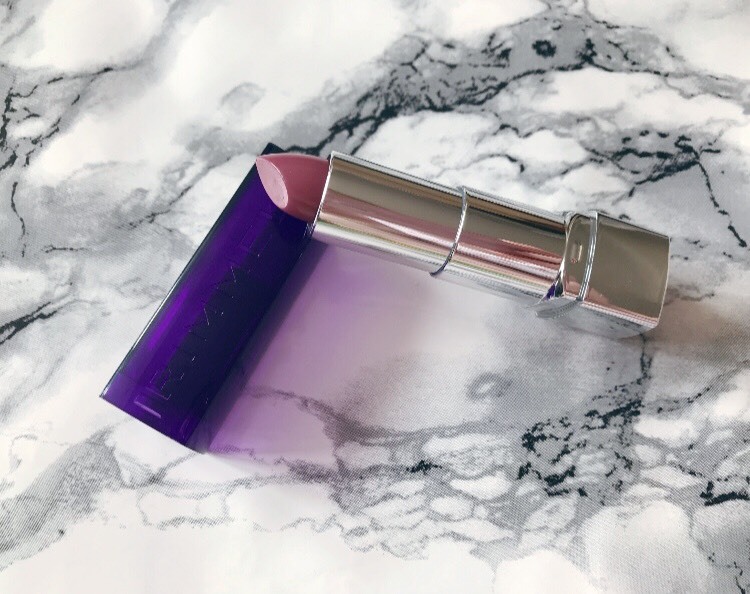 This lipstick formula contains vitamins A, C and E. I love the smell of this to. There are so many different shade that you can choose from to. You can find 'Vintage Pink' and loads of other shades over at amazon.co.uk. I was exactly the same, i didn't think the foundation would be the right shade for me but it worked! these products sound so good, I've seen a lot of people raving about them recently! This is a great collection of makeups. Thanks to share this beautiful makeups. I believe makeup is an important part of women's life and a perfect lipstick gives a great look of hole makeup. That's why I love to use my beautiful perfect Liquid Matte Lipstick for my lip. I can't imagine a single day without my makeups. 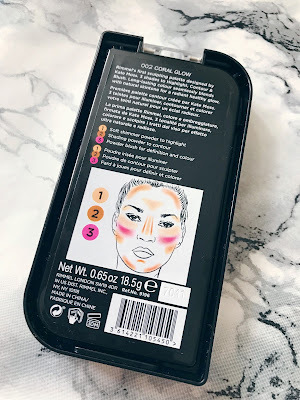 I have heard do many great things about this makeup! Contouring is so hard! But I think you did a great job! Aww those colours really suit you, especially that lipstick looks fab. 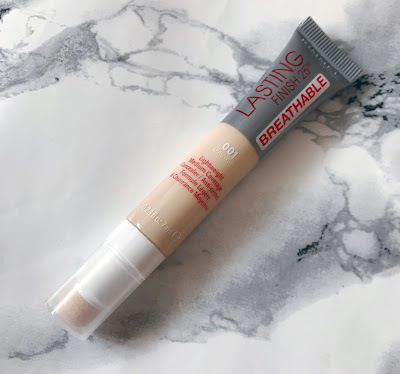 I've been all about long lasting and breathable at the moment and anted to try the Rimmel one so I might grab it next time I'm in Boots. I've never heard of Influenster before but it sounds fab so I'll be looking that up in a tick. Thank you for this! I'd love to know, which one is your Rimmel's favourite mascara?? That foundation sounds great, I'm always looking out for a decent 'drugstore' foundation.